Has Chris Martin snubbed Jennifer Lawrence for Christmas? Looks as if Martin will be home with Gwyneth Paltrow and the former couple’s two kids for the holidays. 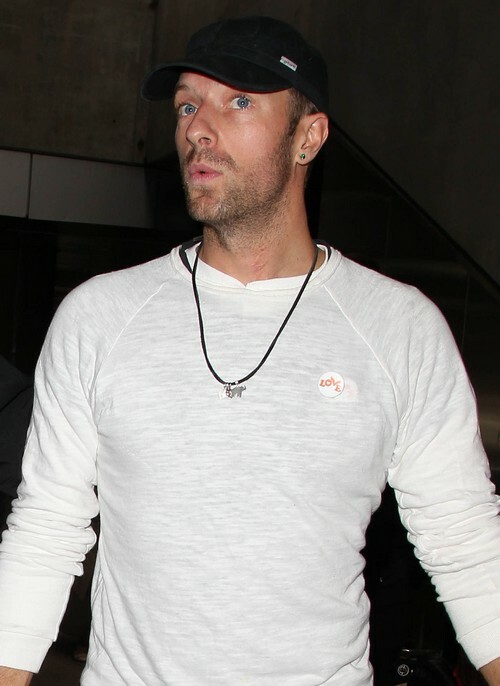 Chris was spotted arriving at LAX from London on Tuesday, December 22. It’s not far-fetched to think Martin and Paltrow will spend a happy Christmas with their kids Apple and Moses. After all, Gwyn has said many times that even though the Martin-Paltrow marriage ended the children are more important than any differences between her and Chris. Where does that leave Jennifer Lawrence? Gwyneth is an easy-going kind of person, but is Paltrow laid-back enough to invite Jennifer to open gifts and stay for dinner on Christmas Day? What if Jen is just a passing fancy for Martin? Wouldn’t that be confusing to Moses and Apple? Does the Cold Play singer want the world to know that yes indeed Jennifer is more than just a friend? Is spending the holidays with Gwyneth, Apple and Moses the vocalist’s way of letting Jen know it’s time for a public acknowledgement of a romance? What better way to make an ex-girlfriend jealous than spending a very important holiday like Christmas with an ex-wife? We wonder if Chris Martin will also spend New Year’s Eve with Gwyneth Paltrow. Is Jennifer Lawrence resentful or will the actress ring up Liam Hemsworth for some holiday fun? The “Hunger Games” co-stars, according to Jen, did hook-up off-set. But Jen may find out that Liam is spending the holidays with Miley Cyrus. Will Chris Martin bunk at Gwyneth Paltrow’s home for the holidays? Will mom and dad both be there when Moses and Apple open Christmas presents? Will the exes spend New Year’s Eve together? Does Chris plan to hang around hoping for a reunion with Gwyneth? It does appear that Jennifer Lawrence has no immediate plans to openly admit to a relationship with Chris. Chris Martin Dating Gwyneth Paltrow: Back Together After Jennifer Lawrence Breakup? Will Jennifer Lawrence Allow Gwyneth Paltrow To Keep Chris Martin as Creepy Love Triangle Continues? Chris Martin Hits Paparazzi With Jeep – Gwyneth Paltrow Called The Paps To Spite Jennifer Lawrence? Gwyneth Paltrow Set Up Chris Martin and Kate Hudson To Spite Jennifer Lawrence?